New York City has long been considered a city with no feasible evacuation route. 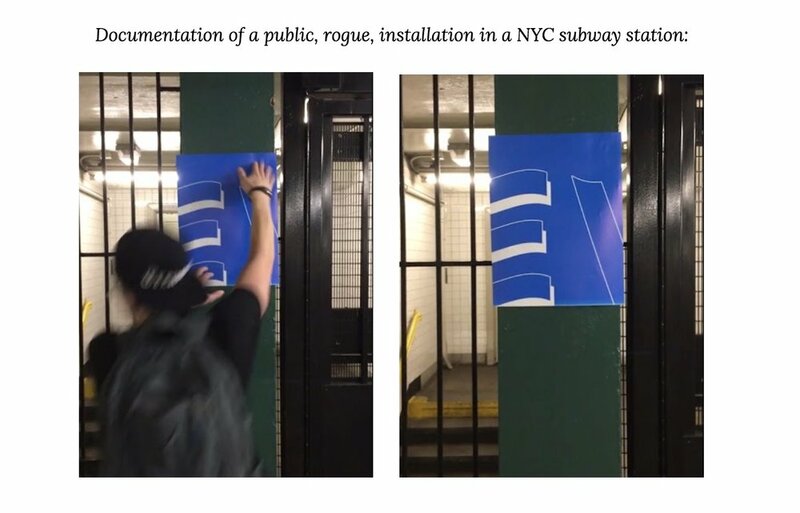 Doubly referring to this concept of physical evacuation as well as the inescapable surveillance of the city, I developed public signage to depict impossible evacuation routes. I posed a conundrum to myself as a design challenge: what do impossible evacuation routes look like? These signs are computer-generated composites of symbols, colors and graphics that were all extracted from existing public signage. I collaborated with a computer generator to develop these compositions: generating, modifying, running them through again, and so on. I posted the signage in appropriate locations around New York.